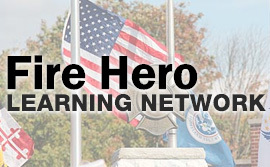 News Article - Fire Hero Learning Network Goes Live! Fire Hero Learning Network Goes Live! National Fallen Firefighters Foundation Launches New Online Learning Network for the Fire Service. Emmitsburg, MD – January 2013 – The National Fallen Firefighters Foundation has launched a new online learning network, FireHeroLearningNetwork.Com. This new learning network will bring critical training in safety, operations, and community relations to more than 1 million firefighters and fire officers in the United States. In addition to working on standard computers, FireHeroLearningNetwork.Com is mobile-ready for tablets and smartphones. FireHeroLearningNetwork.Com, created with a Fire Prevention & Safety Grant from the United States Fire Administration (USFA), provides vital, expert-vetted safety and operations education that will save firefighter and civilian lives.In addition to presenting best practices for line firefighters to implement, a number of modules will assist leadership and command in improving how the department works, its SOPs, and its interactions with the public. Chief Ronald Jon Siarnicki, Executive Director of the National Fallen Firefighters Foundation, explains, “The Fire Hero Learning Network will help us reach a larger number of firefighters across the country.Whether you’re a fire chief or a probationary member, the online network can be used to have those important discussions about strategy, tactics and focusing on everyone going home at the end of a tour of duty.” The content on the learning network is in line with Everyone Goes Home®, the Firefighter Life Safety Initiatives program, and all applicable national standards relating to the fire service. Since the 1600’s, the fire service in the United States has made great sacrifices to save lives and property.The long, proud tradition of learning and information sharing within the fire service has resulted in many safety and operational improvements over the centuries. 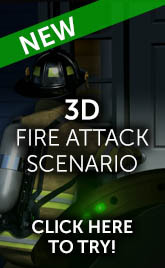 FireHeroLearningNetwork.Com is the next step in the effort to spread knowledge that saves lives and improves how fire departments respond to emergencies of all types.